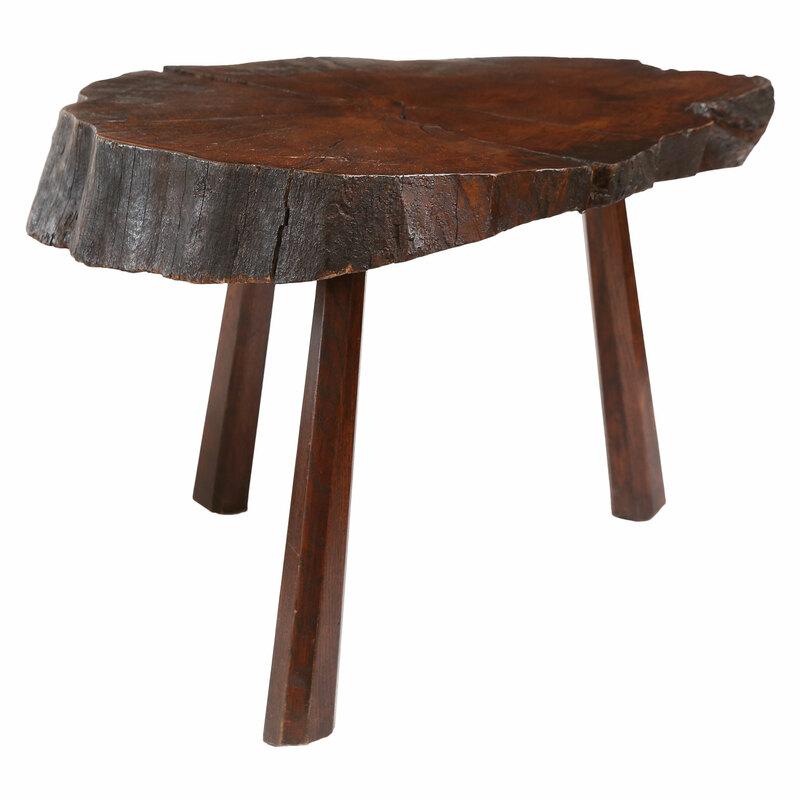 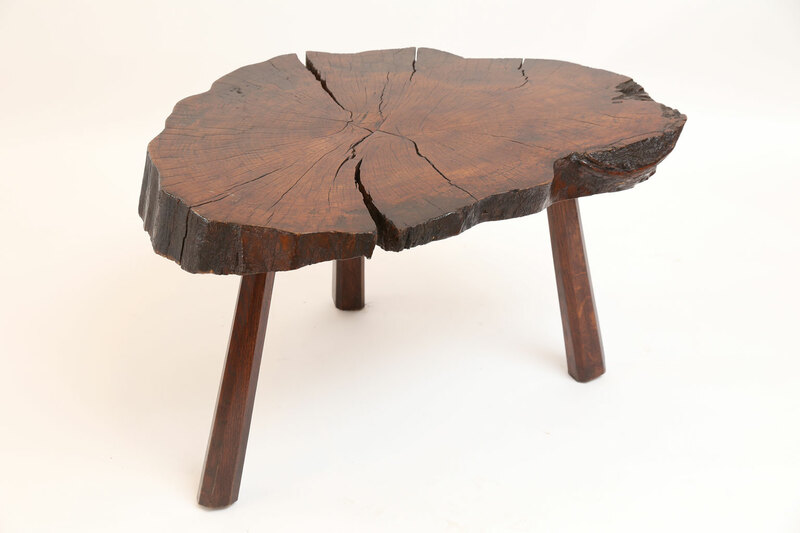 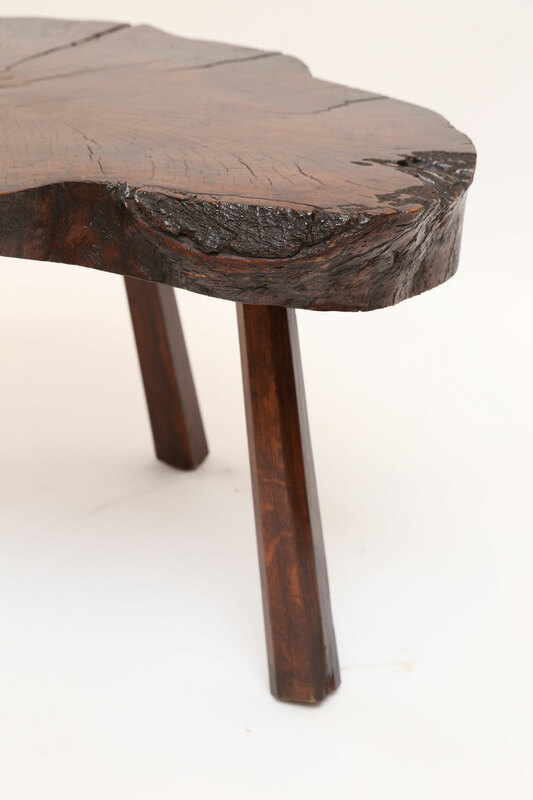 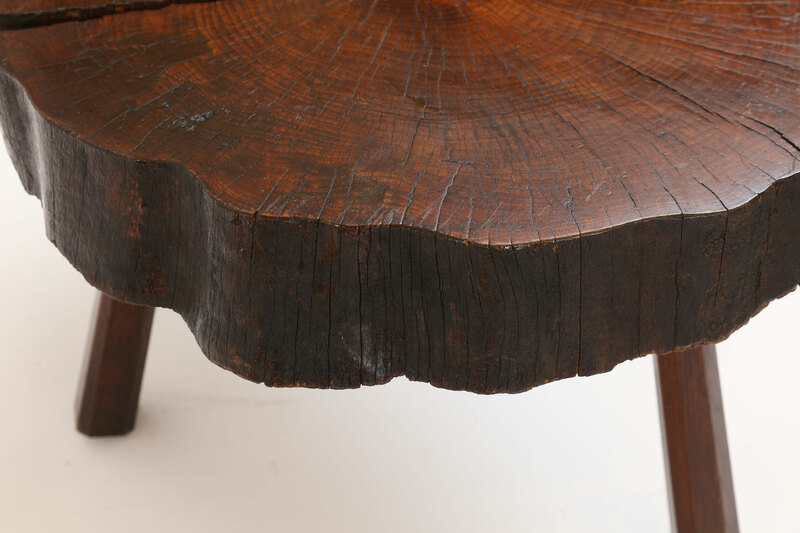 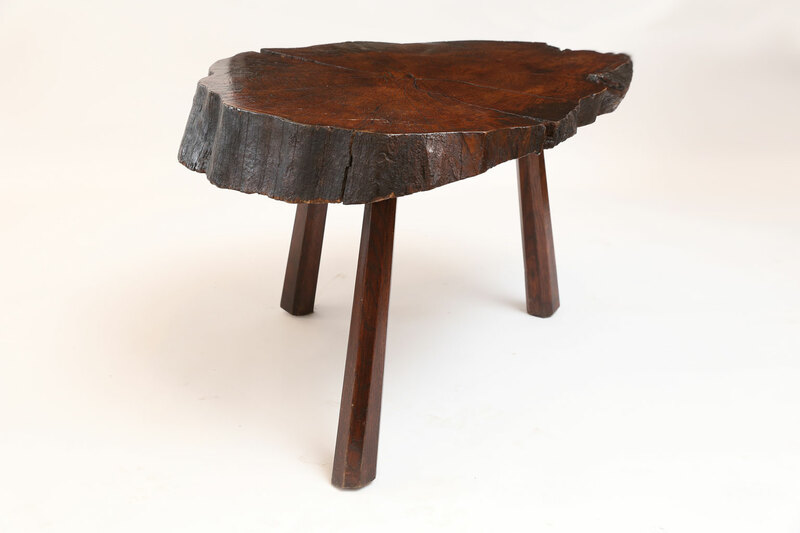 Vintage tree trunk table with natural edge from the cross-section of a tree trunk. 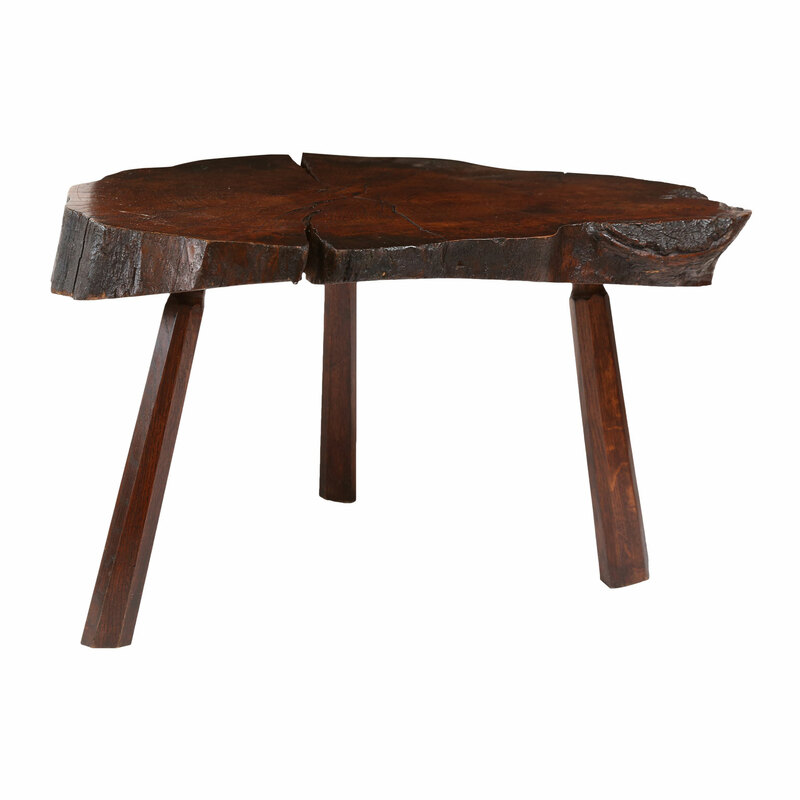 Purchased in Belgium, this table is supported by three pegged-construction wooden legs and features a rich, warm patina. 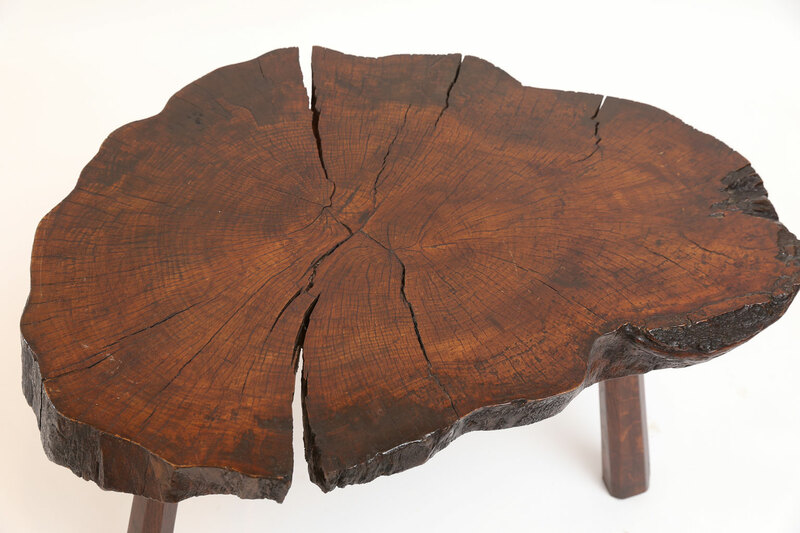 Condition: GoodGreat condition. 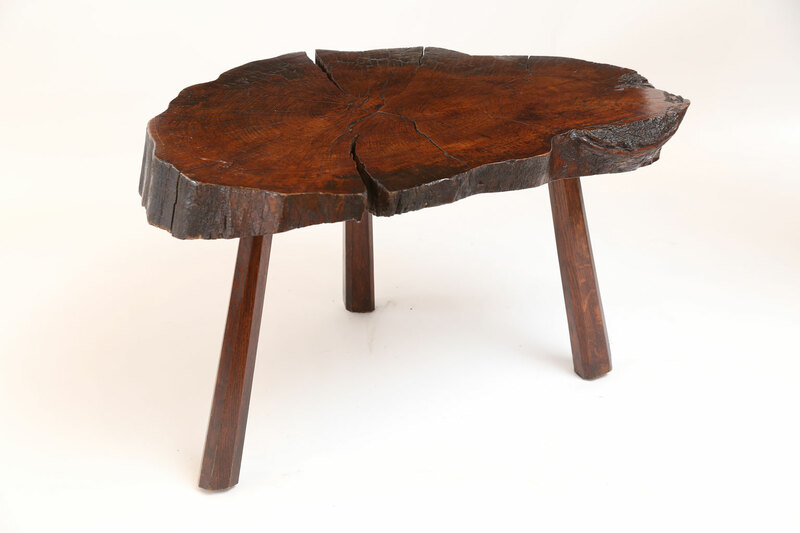 Splitting of top, from age, arrested by a recent addition of wooden keys (or butterflies) set into the bottom of top.